Vishay Intertechnology, Inc. introduced a new Automotive Grade IHLP low profile, high current inductor in the 4040 case size with an increased profile of 5.4 mm. 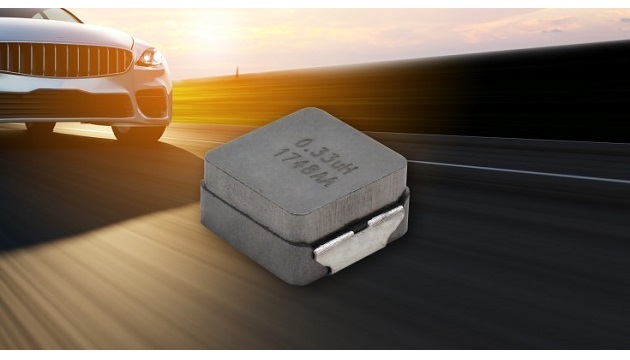 Offering a reduced DCR, increased current handling, higher inductance, and a high operating temperature range to +155 °C, the Vishay Dale IHLP-4040ED-5A is suited for under the hood automotive applications. The AEC-Q200 qualified device released features high efficiency with typical DCR from 1.05 mΩ to 204.0 mΩ and a wide range of inductance values from 0.33 µH to 75.0 µH. The device provides rated current to 36.0 A and handles high transient current spikes without saturation.